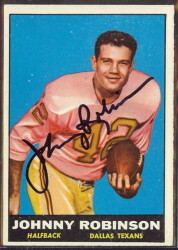 After purchasing the New York Titans in early 1963, Sonny Werblin changed the team’s name to the Jets, and began spending his money on new, young talent for his team. Most people recall his famous signing of quarterback Joe Namath, but before that historic moment, Werblin used the Jets first round draft pick in 1964 on a 6’2″, 219-lb. running back from Ohio State University named Matt Snell. The signing shocked the NFL’s New York Giants, who had also used their fourth-round pick on Snell. Snell was a powerful runner, who made an immediate impact from the Jets backfield. 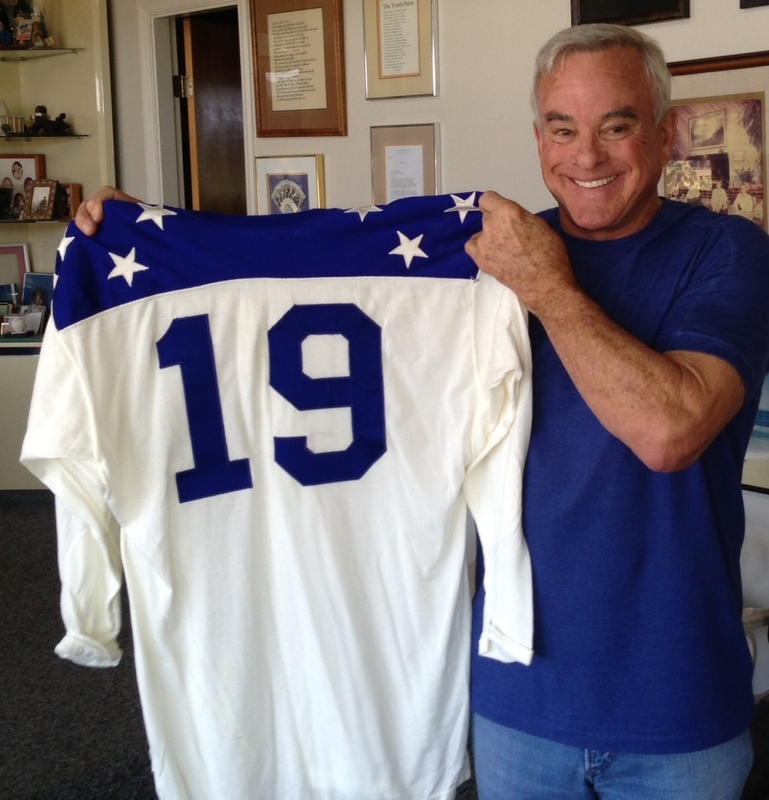 He set a Jets record with 180 yards against the Houston Oilers, on his way to accumulating 948 rushing yards and five touchdowns in his rookie season. He also caught 56 passes for 393 yards and an additional score. 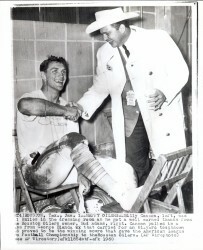 His 1,341 offensive yards earned Snell a spot on the Eastern Division All-Star squad, and AFL Rookie of the Year honors. 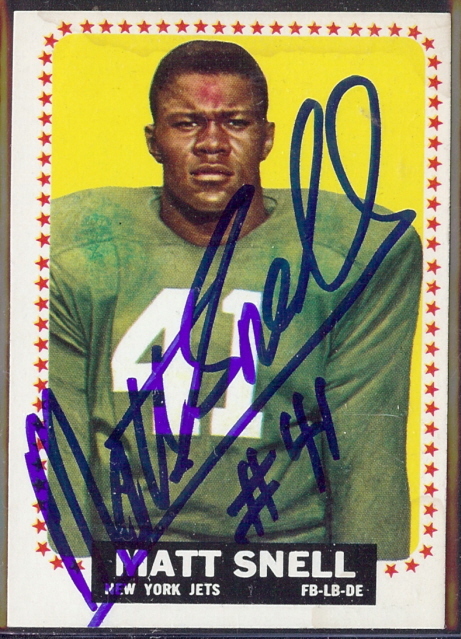 Matt Snell was a member of the legendary Jets team that upset the favored Baltimore Colts with a 16-7 victory in Super Bowl III. He rushed for 121 yards in that historic game, and scored the Jets only touchdown with a four-yard dash around the left end in the second quarter. Matt Snell played nine seasons with the New York Jets, the last three of which were limited by knee injuries. 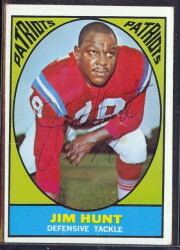 He retired after the 1972 season with 4,285 career yards and 24 touchdowns on 1,057 carries. 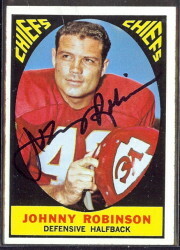 He caught 193 passes out of the backfield, for 1,375 yards and seven scores. Early in his retirement, Matt Snell became a member of the group of athletes and actors that starred for some 17 years as the Tastes Great-Less Filling Gang on Miller Lite Beer commercials.